We’ll cut it into 2 parts : 1 for the development, 1 for the marketing & long-term support. Although it’s obvious afterward, it wasn’t years back, around 2010, when I decided to give it a try. I can’t see how I could have done the game without using the Unity engine. It has some serious & annoying flaws, but all in all, it has been great to work with, and a huge time saver. I already wrote a complete post about the issues I got with it here . All enemies in DG are from stock assets. Before to do that, I had big doubt about the visual unity of the result : many different styles, would it look silly or even super bad ? Use of stock icons was also a good choice, as it’s very expensive to produce original ones, although it has been a challenge to find the correct one for each of the abilities & talents. Although I had never professionally designed levels, the result is very good (a good bunch of players has praised it). However, I had designed for fun many Doom levels and a few ones for Quake 3, in my younger years. The whole thing could have used a better planning, though. I created level 1 by 1, without thinking much about what was coming next, especially in the 2nd part of the game, and thus it lacks a bit of unity and global goal (which is bad story-wise & motivation-wise for the player). Despite my relatively good handling of my motivation, I ended the development very tired (partly because I had a lot of sleep issues from a noisy environment), and I couldn’t release the game with all the features I wished. Fortunately, I fixed that in the following couple of months. Also, I spent a good part of the development to lie to myself about the time required to finish the game, in a totally unconscious way. It’s relatively funny to think about it afterward, especially if you know I’m usually pretty good at estimating the time required to do things. For example, in November 2014, I thought I’d have finished the game by February 2015, 3 months later. The game was actually released in November 2015, 12 months of hard & intense work later..! To achieve that, I completely ignored the time required to do certain tasks (ie: asset integration) despite the fact I already known it was taking much more time than I initially thought : as it was the 1st time I did that, I badly underestimated the huge amount of grunt work it is to get assets (either stock assets or produced ones) ready for the game. I also didn’t put in my planning other tasks that were required to complete the game. Looking back, I did the right thing : I think I couldn’t have stomached being 1 year from release in November 2014. On another hand, from 1 year before release, I started to work with mostly the release in mind, instead of taking pleasure in what I was doing at the moment. I was always focusing on finishing what I was on, and wanting to switch to the next task and so on. It helped to release the game in a decent state, but it’d have likely been better to downscale a bit the project at the start, especially when we see the following issue. The game lacked polishing, especially on game release. After 2 years of tuning, bug fixing and improvements from user feedback, it is pretty neat, but still, now visually it feels instantly less polished than the best Indie titles, especially for the GUI. There, there’s no miracle : I worked mostly alone on a big game with a tiny budget for the freelancers. I’m afraid there was no way to do better without putting more work or money than I could have. I don’t think DG was ever destined to get a great story, but things even got worst with the release of Legend of Grimrock 2. They did more or less what I originally thought to do for DG : the dungeon master was there to test your skills so you could take his place. At that time that part of the story was still not in the game, so I changed the end, and it got kinda darker, but more open to a sequel. I also tuned down the ambition for the 2nd part of the game, especially when I realized it was long & costly to build a story into the game (ie: something that’s more than a few notes here & there). With the Indie apocalypse, now there are more games in development than available Beta testers (without counting the hundreds of thousands of games on mobile! ), and it’s a real challenge to find some players to intensively test a game and give some useful feedback, especially with no previously released game in the same genre. I got about 10 people answering my call posted in several dungeon crawler forums, but only 1 really got into the game and gave a lot of very useful feedback. 1 is infinitely better than 0, but it was not enough to represent the tastes of the dungeon crawler fans, and I missed out a few things that could have been fixed during the development. I got most of them in a couple of weeks after release on Steam, but it has been quite stressful. So in the nowadays flooded market, the game is too long to get into, as the rules are pretty special (which is also a strength). It’s also too repetitive, especially in the 1st four levels : they are full of skeletons with few other types of enemies, and the environment doesn’t change before the 5th level. Also, there are no real strong moments to capture the player attention and curiosity once the intro is done. Moreover, the 1st level was done for the alpha version of the game, to show what the game could do, and then was used for the final version almost without any thoughtful reworking. So all in all, the game fails to impress some players during the 1st couple of hours. The positive is that the players who stick with the game are rewarded as the game gets better, but many players gave up after a couple of levels so it didn’t help the word of mouth. Initially, I wanted the game to offer about 20 hours of gameplay. I calculated it should take about 1 hour to complete 1 level, so I decided to create 20 levels. But due to the numerous enemies and the active-pause based combat, for a lot of players, it takes around 2 hours to complete a level. This makes Dungeon Guardians one of the longest dungeon crawlers to beat, and for the average player, it’s clearly too much, as only 3% of the buyers finished the game. Game value would have likely benefited to have only 15 levels and the saved time could have put to polish the game more before release and build a more captivating story. However, in my heart, I’m happy the game is that long as it offers a good variety in the level design all along. So for the sequel, I’m thinking to keep the same length, but build the whole world in a more engaging way, with even more different sections to explore, and with a better story to motivate the players to go through the whole adventure. To complete the Level 1 after its Alpha stage, I added an extra zone to it, before the final boss, and made it optional with its entrance being not obvious. The result is that some players never did that zone and thus didn’t get the required experience to level up before that Boss and the next ones in the following levels..! Thus, some of these players ended thinking the game was unbalanced, as the Boss fights were harder than normal. With the game rules being hard to apprehend, this leads to a series of negative reviews on Steam. For the sequel, I’ll give an XP bonus at the start of the 1st Level, so the party members will level around the middle of the level instead of near the end, which will allow having a few optional zones without unbalancing too much the Boss fights. DG 1st environment, the mossy stones, looks a lot like the one from LoG1 on 1st sight (when checking more carefully, they are obviously different, though). This brought some heat (even hatred?) from some players on game release. We often say “there’s no bad advertising”, and other dungeon crawlers are very often compared to LoG anyway, so I’m not sure it was a bad thing. 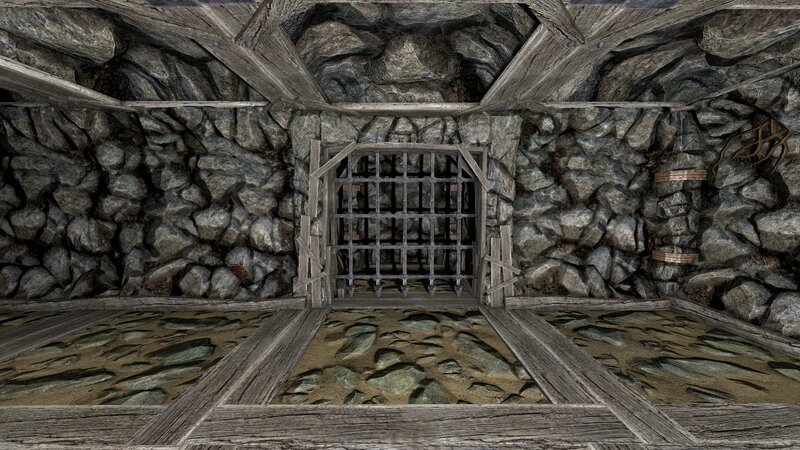 Overall, I’d say the result is 50% positive/50% negative on the players trying the game because it looks like LoG, as some didn’t like it and others said it was just like LoG ; this shows that some players are very strict on what is LoG and some other are more open to the dungeon crawler genre. On initial release, the 1st true puzzle was on Level 5. There was also a dexterity puzzle on Level 4 that didn’t require much thinking. And some very very simple puzzles on the way. 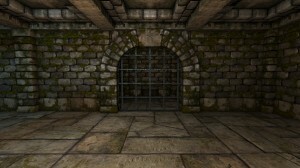 This was not enough for many fans of the genre who like the grid-based dungeon crawlers for their puzzles. I fixed that after release by adding 1 puzzle in the Level 2 and 1 in the Level 3, which gave a better balance. 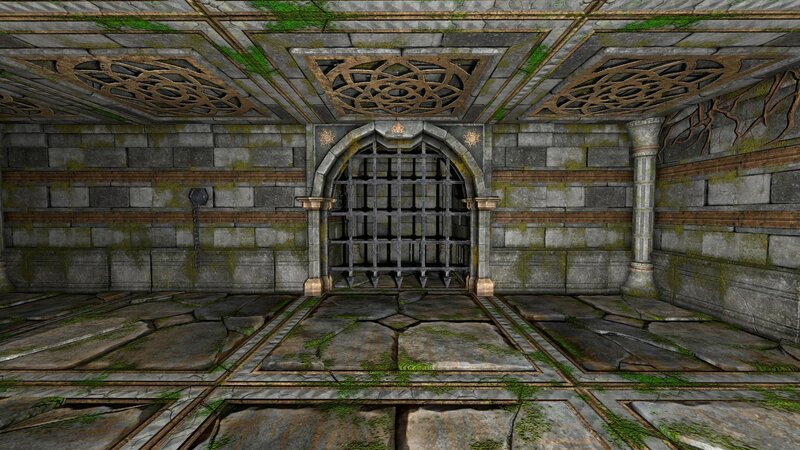 The 2nd level is one of the hardest levels as it’s a maze on 2 floors. I wanted to show the verticality that offers DG, which is unique in the genre (other DCs have usually only flat levels), but it was a bit too complex for the average gamer. It’d have been better to introduce more gently the challenges brought by the verticality by tuning down a bit the maze aspect. Despite the game offering an unexpected combat system, most players liked it or at least were not too annoyed by it, which lead the game to get a decent 85% positive ratings on Steam. However 85% is not great as the median score on Steam is 81%, and the game got only 301 reviews at the time of writing. Ok, that sounds cocky, but actually, it’s a not much of a feat, even if it’s better than nothing..! 1st, Starcrawlers likely grossed more than DG, which means either I discounted DG too much, too early, or that DG didn’t attract the players strongly enough and couldn’t sell decently at its price point. 2nd, LoG2 sold about 8 times more units than DG (it’s hard to count exactly now as they did some bundles), which is a huuuuuuge gap. 3rd, this micro-niche genre got less than 10 games after LoG2. 4th, Vaporum seems to be on its way to beat DG within 1 year, as after a weak start (a bit under DG start), it got strong sales during the Winter sales. I made enough money to pay me a decent salary for all my work on the game. In today Indie apocalypse, it is quite a feat. To go on with the comparison with the other games mentioned above, they either got several developers on them and thus are less profitable, or a single developer and sold a lot fewer units and thus are also not much profitable (even if some got shorter development time than DG). So it’s good but not great, because total income is not enough to fund a more ambitious sequel. But it’s enough to fund one similar to DG1, with a big chance to lose money, though, as my guess is that selling an Indie game will just get harder and harder with the time, due to market over-saturation. I did a good bunch of updates after release of the game, for almost 2 years, not full time ( obviously ), but it likely took me the equivalent of about 3 months full time of additional work, till the point I could add “Enhanced Edition” to the title of the game, and got better reviews and more happy players (score average on Steam since 1 year is above 90%). Most updates have been done from user feedback and it has been very nice to see the players enjoying them. The game feels more complete and polished now and as a game author it’s a fulfilling objective..! 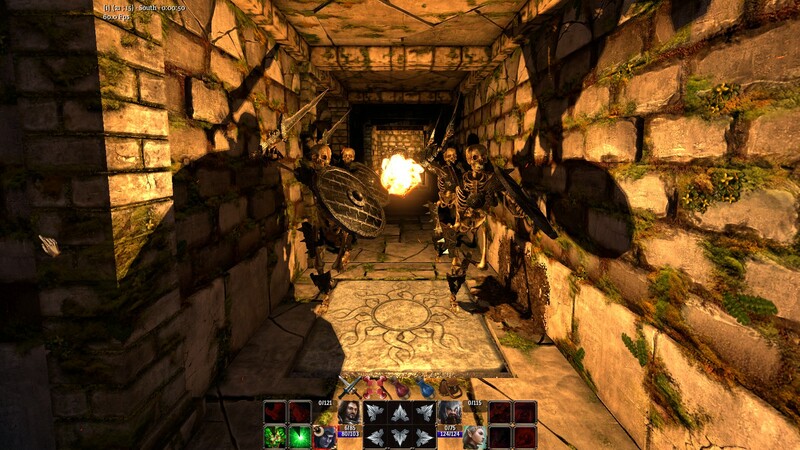 DG is a mix between a tactical combat game and a dungeon crawler, inspired from WoW. At 1st, mostly only dungeon crawler fans bought it. Few WoW fans bought it and even less tactical fans..! I partially corrected that about 1 year ago by changing the game tags & short description, so it made it clearer it was strategy oriented, with decent results. However, the game never got any attention from the mass of WoW fans (no news, no forum posts on WoW forum, etc. ), although a few WoW fans bought and enjoyed the game. At this point, I’m really not sure how it could have been better without having a much bigger budget, both for the game production value and the marketing. This one is really painful. As already explained in this blog, a lot of players gave hasted negative reviews, for various reasons, and it took a toll on my mood and my energy to try to explain the game rules, the options, etc, and sometimes show them that if they had read the game description, they just shouldn’t have bought the game. All in all, without that work, the game would have been nearly down to 75% positive ratings instead of 85%. So it was important to do it, but I really don’t enjoy that. With some players, it’s ok as they are happy to get the support and the explanations, and pleasantly surprised to meet a developer eager to help the players ; but with some other ones, who are full of negativity or just don’t care about trashing a game, it can get really unnerving. However, even if in the past I was sure it was extremely important to keep a high total score, I’m not sure it’s totally the case today. The Steam global score is nowadays mostly a bad joke for many reasons (that are out of the scope of this Post Mortem ), and it’s possible that more and more users realize it. As a whole, for the game industry, and especially Indies, it’s a bad news as the global score used to be an efficient way to promote a game without a marketing budget. One last important thing is that as the game is too long with a low completion rate, it’s missing a lot of positive reviews to compensate the negative reviews : there’s a lot of players who usually review the games only once they have beaten them, and thus as they never finish DG, they never review it. We can say that Dungeon Guardians is a decent success, but far from a huge one. Its development had issues but nothing nightmarish. It was nonetheless a great and fulfilling adventure for me and my only hope is to be able to do a sequel offering an even better gameplay, if not a significantly higher production value..! Except in case of a big surprising event about the game, this is my last post on this blog till DG2 development starts within next couple of years (if it ever starts), so thanks for reading it and farewell ; may you explore many huge dungeons, 1 cell at a time ! After a lot of thinking, chatting with people liking the game and a few ones not liking the game, I’m finally able to understand what’s right and wrong in Dungeon Guardians in term of gameplay. So in short, almost nothing is wrong. Like already hinted in my Review of Reviews, people not liking the game and vocal about it are usually just mighty idiots (with a few exceptions). Enemy abilities lack a bit of variety. This is likely the biggest issue with the game, as it means the combat lacks of variety, and thus is less engaging and more repetitive than what it could have been. For the possible sequel, a big objective will be to emphasize different new enemy abilities which will bring new tactics and strategies during the adventure. Combat system is hard to get into (it was also explained in Review of Reviews), and not understanding it makes you think it’s too much Random Number Generator (RNG) based. This is one is tough to fix because it’s the flip side of the strong point of the game : its combat system is unique, although it’s strongly derived from MMORPG and more especially from World of Warcraft one ; but in Dungeon Guardians you control 4 characters, not only one, and it changes a lot of things. For WoW fans, it’s not too hard to get into it, but for the average Dungeon Crawler fan, it’s a lot to take, but it’s doable if they take the time to read the in-game tutorial and the different ability descriptions. So for this point, I don’t see any solution to fix it except maybe reworking a bit the tutorial to make it more clear. Add that’s all for the shortcomings..! When browsing positive reviews on the Steam Store page of the game, most players have none or very few complaints about the game. But the game has only a 83% positive rating ; ok, it’s really not bad, but when you read the positive reviews, you might wonder why it’s not higher. So now, let’s have a look at our bunch of idiots, why don’t they like the game if it’s so awesome ? Impulse buyers, or people who don’t check in detail the game before buying it, or just want to check it out “just in case” ; once they play it they figure out it’s not a bad game but it’s just not for them and get a refund. I have n0 issue with these people, I’m glad they gave the game a chance and I’m glad they got refunded. Actually, I have only a grudge with about 2 third of the players who post negative reviews on Steam (ie: “Not Recommended”). Players who refuse to learn how the combat system works (by not reading the tutorial, nor asking for help in the Forum) and conclude it’s a bad combat system, often adding it’s too much RNG based. In bonus, they’ll also say sometimes the Talents bring nothing, while if they were playing in a challenging difficulty level, almost each Talent could be the difference between life and death. Some also say the game is unbalanced. Basically, they didn’t understand anything and pretend the opposite. This is the main reason I call them idiots, because this attitude it’s the main characteristic of an imbecile : not knowing he doesn’t know. 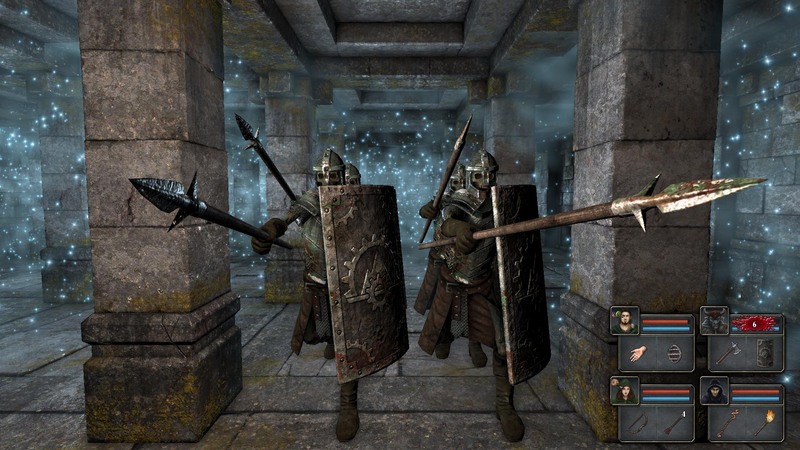 Players who say the combat is too difficult (or too easy) and refuse to change the difficulty setting because usually they play other games on “Normal” and thus they should play “Dungeon Guardians” on “Normal” difficulty as well (although the game doesn’t have any difficulty level labeled as “Normal” ). These ones are utter complete idiots, nothing can be done about them. Players who say the combat is basic, and refuse to acknowledge it’ll get more varied and deeper once they get the tons of abilities & talents they can see when they level up but still didn’t obtain. Again, hopeless imbeciles. 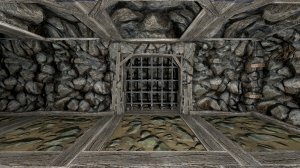 Players who say that Dungeon Crawlers should be full of puzzles. This is a matter of taste, it doesn’t make a game good or bad to have tons or very few puzzles, it’s just a style. They do not understand that. Plus the store page advertises the game as having only a few easy mandatory puzzles (harder ones are optional). They’re idiots. Players who wants to have square-dancing based combat. The store page specifically says the game doesn’t require square dancing. Players who don’t think MMO combat is good in a Dungeon Crawler. Again, it’s strongly outlined in the game description, videos & screenshots ; why did they buy the game if they didn’t like it even before launching it ? So what can we learn from all this ? Is there some possible fix to avoid the negative reviews they leave on the game ? Is there anything to do so some of them could actually enjoy Dungeon Guardians ? The short answer is a double-no. As you may have noticed, a good bunch of these players do not read the game description, nor check the game videos & screenshots, or just ignore them, and even don’t check (or believe ?) the existing negative reviews before buying the game. Moreover, they seem to seldom check the game options, and thus adding stuff especially for them seem to have little to no effect, as they are either not aware the options are there, or refuse to use them. So why so much idiots ? Dungeon Guardians attract them more than other games because visually it looks like other 1st person view Dungeon Crawlers, and all have more or less the same gameplay. Bringing something really different ought to make some people unhappy (especially if they don’t read the game description). Moreover, the Threat & Aggro concepts are pretty abstract, which means some players are going to be intellectually challenged to understand what’s going on. Some will like that, some others will just lower the difficulty setting and enjoy the exploration and the explosions, and some others will hate the game for showing them their limits. Personally, I’m always very pissed-off every time I get a negative review (as you may have guessed by now ). Most of times, I find them unfair, superficial and just plain idiotic. But I guess it’s the price to pay to make something different, unique and relatively smart. Note : I have the same issue with my tennis game, but to a lesser extent as it’s really outdated visually, so most idiots are repulsed on 1st sight. Based on my 2 games on Steam, my advice to my fellow experienced Indie developers is to mostly ignore negative reviews ; most brings little to nothing. Instead be very attentive to people who like your game but outline its shortcomings ; these ones will be very pleased to see you improving your game from their comments, while the unhappy ones will never acknowledge any amelioration. Of course, some people were a bit shocked by this post, and likely rightful so. Although, I think I’d rather be honest, even if a bit borderline, and show you what the average Indie developer feels & thinks (I have discussed this kind of issue with other Steam developers, and hum, let’s say I’m not alone in that case ). So I’d like to redefine a bit what I meant by idiot by starting to say that I could easily include myself in that league, if I didn’t know that posting hasted, superficial & venting negative reviews was actually hurting other human beings. The thing is lately I have less time to play (I became a daddy 1 year ago), and often when I play a game now, I want it to be awesome, and right away like I expect it to be, and don’t want to dig too much if it’s not. And when it’s not, I might get rather frustrated. I guess it might be what happens with many of the negative reviewers of my games, as they can get rather tough to get into. Ok, I’m still not ready to write a full post-mortem, but after seeing this thread “Unity is broken” – What are people referring to? 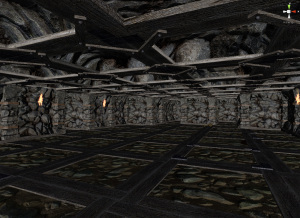 , it made me want to write a list of all the technical issues I got creating Dungeon Guardians, most of them being tightly tied to using Unity3D (real name = Unity Engine ; Domain name = Unity3D.com ). Before to go further, I think I need to make this very clear : Unity is a great engine and without it Dungeon Guardians would either not exist at all, or look way less good than it does ; and having used it made me save a lot more time than it made me lose. Thus said, I have built my game engine using the minimal stuff possible from Unity, and every part I used had a least one really annoying issue, if not several. Conditional Break in the MonoDevelop Debugger never worked. It makes debugging much tedious as I had to add some lines of code and recompile everything every time I need to check a special case. Later on I switched to Visual Studio and its debugger which was technically working, but often terribly slowly, so not much more usable actually. Though this last point is likely the wrong of C#, not Unity. To stay with the debugger, pressing the “Play” button while the Debugger is attached makes Unity stall for 20-30 seconds instead of starting in less than 2 seconds. After that, it executes normally. Moreover, Live recompiling (ie: changing the C# scripts with the game running) isn’t practical and thus I never got it working. This is the thing I miss the most from developing in C++. Physics engine handles really badly small fast moving objects ; I had to use & tune this to fix the issue : http://wiki.unity3d.com/index.php?title=DontGoThroughThings . The FPS counter in the stats doesn’t actually count the FPS ; it estimates them in the most idiotic possible way and thus is completely useless and misleading. There’s no built-in decal shader, nor shadow-receiving transparent shader ; so for putting spider webs on my wall, I had to grab an user-made shader . GL rendering stops to work in OnGUI after an alt-tab (ie: switching to another application), but it works again after a couple of alt-enter (ie: alternating between fullscreen & windowed mode). There’s no fix nor bypass for that. This is one of the rare bugs left in the game. There’s no documentation on how to handle a lot of sound sources. The sound parameters would let you think it’s automatically handled, but it isn’t. Fortunately, I have been able to just cull the sound sources with my custom-made occlusion system for the rendering. Legacy Animation system was duplicating the animation clips assigned at realtime, instead of referencing them, which leads to a gargantuan amount of wasted memory (more than 1GB!). I had to swap to the new Mecanim animation system which was severely feature limited. Fortunately, the possibility to change the speed of the animation per layer came with Unity 5.1. Unfortunately, this version made the legacy immediate mode GUI way too bright in editor mode (but luckily not for the built game). 5.2 fixed that issue but destroyed the animation system, making everything jerking around when using multi-layers. 5.2.1 fixed that but not completely, and 5.2.2 didn’t change anything, thus final version of Dungeon Guardians is built with 5.1.3p3 and I kept on burning my eyes every time I launched the game in editor mode (which was all the time till recently). Disabling & re-enabling the Mecanim component of an object removes the current playing animation clip instead of only pausing it ; ie: it completely empties and then resets the internal state of the animation. It brought me a lot of issues and it has been very hard to figure out a solution. But the hardest part has been to understand that behavior, because it is not documented. I have requested it more than 1 year ago to be added to the documentation, and as of today, it’s still not there . Still in the animation department, it is not possible to select multiple animation clips and change their import options all at once. You have to do it for each clip, which can have near of 10 parameters, 1 by 1 ! There are hundred of animations in Dungeon Guardians, I lost hours if not days doing a stupid grunt work that should have taken less than a hour..! To go on with the resource management, the texture re-sizing on importation is done with a very simple algorithm which has the double-perk of being both too aliased and losing contrast. The 1st one happens when resizing to a much smaller size and the 2nd one when dividing the size by only 2 or 4. Using “Bucibic Sharper” with Photoshop gives a much better result. It means I had to do an awful lot of grunt work to get the best of all the HD textures I had, instead of relying on the built-in scaler. It’s really the plague of Unity. They’re in a race to always add more & more features, while regularly never really finishing the existing ones and letting them with blatant missing possibilities. The most patent example is the “new” animation system Mecamin (it was released with Unity 4 in July 2013), as explained above, which needed nearly 2 years to get a layer & clip based speed setting. It’s something that a lot of games need. Think for example at an adaptable run speed animation for the legs and a defined speed for a fire animation for the torso. In the same vein, the Unity Input doesn’t allow to be set in-game. It’s even not possible to know what key is assigned to an input ! Which means any developer wanting to offer in-game configurable input (instead of the default Unity launcher setup) has to redo the Input from the ground up, as I did for DG ! In bonus, the text input field doesn’t work on Linux. It may or may have not be fixed in latest version of Unity, but as I couldn’t use it (see above), it meant I had to re-write my own (which doesn’t support Ctrl+V & stuff like that) : you’d be surprised at how much people actually want to enter the name of their choice for their character in an RPG, even if they use Linux..! The “new” particle system, Shuriken, released in February 2012 can’t use a skinned mesh (ie: an enemy) as source for its particles ! It has been fixed in Unity 5.3, released at end of December, nearly 4 years later. For DG, I had to use an external add-on (and yup, I had to paid for it). I skipped a good bunch of issues which were also annoying but have been fixed before releasing the game, and that didn’t require extra work on my part before that. I also skipped a dozen of little issues which were more or less trivial to fix once found. I also had several undocumented changes of behaviors, some really strange. All in all, I feel lucky I had a version that let me built the full game without any major bugs nor important missing features, but I’d have liked to make it without the GL render & Text Input on Linux issues. Maybe someday I’ll try to update to Unity 5.3 and check if it doesn’t break anymore my animations, without breaking some other new stuff. For now, I think I’ll be still using Unity for my future games, although for the very next one, I’ll still use my old custom framework so I’ll be able to use my old game engine without porting it to C# right away. And to end on a positive note on Unity, it has been really fast & pleasant to be able to build all versions (Windows / Mac / Linux all for Steam and for Mana Games, and the Mac AppStore one), while it was really cumbersome with my old homemade framework. I did nearly nothing last week, so no weekly update today, but instead, let’s plunge into some overall analysis. And more precisely, let’s review the reviews of the game ! At heart, I’m a game designer, mostly because I love video games, play them & analyze them. What I do best is find something I like, see what’s wrong, and make it better. For my taste. I learned since a long time that my taste is different from many other people’s taste. And thus, if I want to say to someone that something is great, it’s better to explain why it’s great, instead of only saying “it’s great”. It works same when it’s bad. Because my great and my bad can actually be the bad and great of someone else. The particularity of Dungeon Guardians is its Tactical Combat system. It’s unmatched in solo video games, so it requires some serious learning if you never played any MMORPG before. It means you have to read 5-10 minutes of explanations during the tutorial, and then read the descriptions of your Toon abilities, and then do some thinking to understand how everything work & fit together, and finally experiment all this and see how to optimize your damage, your healing, your aggro, and your damage mitigation during the numerous fights of the game. This is passionating if you’re into this kind of game, but it’s a lot to take for the average Dungeon Crawler fan where the combats are usually pretty basic (ie: strafe, turn, wait for the grayed buttons to not be gray then hit ; repeat over & over again). Fortunately, you can easily lower the difficulty of Dungeon Guardians at any time, but if it’s too low, it means you can do anything and you won’t die, or if you really didn’t understand anything, you will still die and rage quit, usually blaming the game for being unbalanced instead of recognizing you didn’t make the required efforts to understand what was going on. What I wrote in these last 2 paragraphs, you won’t find it in any review of the game (you’ll find parts here & here though, but not as a whole). It’s ok, a review & a gameplay analysis aren’t the same thing. But the reviewers should have that in mind when writing their review, but a few of them didn’t. I guess the most professional reviewers are the 2nd group : they didn’t totally get into the game, but considered other people would be able to do so. At you might have guessed, my grudge is with the 3rd group. These people (they probably don’t deserve the title of reviewers) seem to not see the difference between a review and an opinion ; they don’t feel entitled to understand how a game works to make a judgment call on its quality. Worst, they assume the game is broken when there are dozen of positive reviews from users on its Steam store page. They can’t challenge their own view when everything points out they are wrong. They probably even don’t look for other people opinions to check if they have missed anything. The result is that their “review” are worth less than the average user review, if you actually want to form your own opinion on the game. Thus said, they are very unlikely professional reviewers (ie: they are probably not paid for that or just a little bit, they have another job or are just students), so in the end, it’s not that much surprising they’re only able to express their opinion and not get much objective work in their “review”. And in that light, they may likely actually reflect better what the average gamer might see when playing the game (the ones that still didn’t buy the game, coz the ones who did usually like it ). It confirmed me that Dungeon Guardians is a game that can be hard to get into, and that it can be easy to pass through its major appeal. This is very important for me to understand the exact how and the why of this, and maybe it’ll be the topic for another post. Meanwhile, have a nice Xmas, or anything else you may be celebrating or enjoying during this week..! Ok, I’m a bit embarrassed by this game design analysis of Legend of Grimrock 2 (LoG2). Although I was not a big fan of LoG1, I really appreciated & enjoyed it ; but playing LoG2 has been in great part painful, and if I didn’t fell compel by work reason, I’d have probably not finished it. I’d have probably even not bought it, as I didn’t feel I was the kind of player its creators were targeting. So I expected I’d not enjoy it too much (as I was stating in the Game Design Analysis of Legend of Grimrock 1 ), but I didn’t think it’d be that bad. On the other hand, the Steam page of the game shows an impressive 95% of positive user reviews. The professional reviews were also positive, when not extremely enthusiast. So I feel it’s a bit hard not to make the following analysis fall in a basic bitter negative review, because what I experienced was mostly annoying, while the adventure for the targeted players was great. But let’s try anyway ! So let’s start with the positive points. Visually, it’s still very convincing, with a nice variation of environments. The big addition of LoG2 over LoG1 is the outside environments. There’s not a single big dungeon, but several little dungeons in middle of forest, cemetery and swamps. The dungeon environments are all very well done (except maybe the pyramid, which felt out of place and not that beautiful). The mines are especially impressive : they got some very good ideas to design them and make them feel different from the classic walled dungeons. 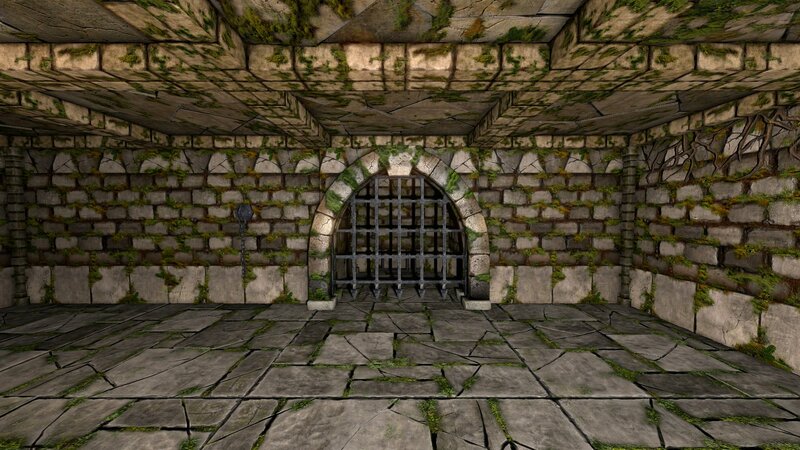 But even if the outsides look good, they break the oppressive & claustrophobic atmosphere of being lost in a big dungeon. It’s not too bad, as the several dungeons are big enough to get some of that atmosphere, but it’s still significantly less strong than in LoG1 . Technically, the outsides are very demanding and it means the framerate has the bad tendency to drop under 60 fps where it never does while crawling inside the dungeons. 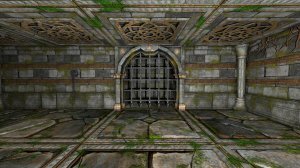 It’s something that is rather annoying, because it forces to lower the visual quality, for a very limited improvement on outside FPS, but for a noticeable quality deterioration in the dungeons. So this is a wobbly design. And this behavior is found in about every other aspect of the game. It’s especially seen in the combat system. They looked for solutions to break the monotony of strafe-turn-attack-strafe-turn-attack1, and make the combats more difficult : a giant toad can jump behind you, most mobs turns around much faster than before so you can’t attack from the side without taking damage, etc… ; but actually, they mostly made the combat more luck based than skill based, while still being very basic and repetitive. It was not a total failure, as there are obviously more variations than before, so it’s a bit less boring. But it’s far from being a success ; for example, one of the new mob’s feature is to wait when you strafed away, to force you to strafe back in front of them (and being instantly hit) or strafe to their side (and being hit after 0.1 seconds, yeah 1/10th of second) ; in both cases, you’re going to lose a lot of HP, so the solution is to … wait ! Wait, wait & wait, till the mob finally decides to walk to you. Waiting doing nothing (except fighting against sleep) is not my idea of fun. But the pitfalls of the combat system don’t stop there. Most mobs will totally destroy you if you stand in front of them. Bare a few exceptions, you can’t tank anything. Even mobs that seem insignificant will crush 1 of your party members in a few seconds. In Hard difficulty2, the giant crabs can kill your entire party in less than 4 seconds. It means if your party was at 50% health at start of the fight (which happens quite often), it’ll be decimated in less than 2 seconds. It basically insta-kills any member not at full health. In beginning of the game (which lasts nearly 10 hours), most mobs can kill 1 party member in 2 or 3 hits. That means you have to move all the time, never gets stuck or you’re dead. So on that aspect, they did everything they could to make the avoidance works less well, and on the other hand, no avoidance means nearly instant death. Woobly design. But it doesn’t stop here. So as it was not already enough with these harsh settings, the creators decided to plague their dungeons with places where tons of mobs spawn on you. So you’re blocked, so you die, so you have to reload till you figure out what is the escape plan. Requiring constant reloading to progress in the game is not my idea of fun, either. But it doesn’t stop here (it seems it never does ). Although it requires constant tightly timed moving, the moving controls themselves are pretty awkward, it’s really very easy to move 1 square too much, hit a wall, and stuff like that, which in some cases mean dying. So playing LoG2 really feels like a session of hard spanking ; it might feel great if you’re a masochist, but for an average person, it’s really really painful. At least at 1st. Because despite all this, after a while (for me it took a bit less than 10 hours where I was very near to give up), you learn all the tricks needed to maximize your survivability (like waiting, waiting, waiting till the mob decides to move) and you’re almost back to square 1 ; ie: the boredom & repetitiveness of Log1’s combats, only with some extra inevitable damage along the way, as the mobs react & counter-attack much much faster than before. Thus as long as you’re aware of your environment and be careful not to fight more than 1 group of mobs at once and don’t get stuck in a corner, you will almost not die anymore, except when unlucky because the mob decided to hit constantly the same party member instead of varying like usually. Another addition over LoG1 is the boss fights. There are really not evolved like the ones of Dungeon Guardians (the combat system doesn’t really allow anything evolved anyway). They’re good because they bring a bit of variation, but ultimately they fail as well : they are just too too much random : I died countless of times in a fight lasting a few dozens of seconds to a few minutes, just to finally beat the boss in less than 20 seconds because I got lucky with the initial positioning of spawned mobs, and got right away a few critical strikes on the boss. Most boss fights turned that way : die, die, die, doing exactly the same thing & finally kill the boss easily because the random numbers turned more in my way. So to resume : the combat system is nearly a total failure. So let’s move to the puzzles, which were the bread and butter of LoG1. So here, the big novelty is that some puzzles can’t be solved without hint or items that you’ll find somewhere else. There are not that much puzzles like that, but they aren’t just a few either. Ok, it doesn’t seem that bad, does it ? The problem is now every time you meet a puzzle, you’ll have to ask yourself : do I spend 30 minutes trying to solve it while I may be missing a critical element to find its solution ? For me, it’s a total fun killer. It means if I don’t figure the solution of the puzzle in less than 30 seconds, then I’ll consider I’m missing something, as I don’t want to waste more of my time on an unsolvable puzzle. But actually, a lot of puzzles require a few minutes to find the solution. So what happened ? Most puzzles were a show stopper for me at 1st, making me run all around to be sure I didn’t miss anything, couldn’t go to explore somewhere else and so on. After a while, I began to figure out which puzzles were solvable and which puzzles required extra stuff, but I still had some doubts as soon as there was no obvious start to how to solve the puzzle. So once again, it was wobbly designed ; it should have some better way to let the players know if they needed something more or not. In addition, most of the puzzles are less well designed & executed than LoG1’s ones. They’re not that bad, but they’re just a bit less good, and sometimes not just “a bit”. There I have some mixed feelings. I enjoyed strolling in the forest, swamp & cemetery (despite the technical issues mentioned above), and the dungeons were big enough to still create some nice atmosphere. But having so much different zones meant a lot of back and forth, a lot of missed stuff that I got to too late, and a lot of “what the heck I’m supposed to do now?”. So without a quest system, without NPCs who you can talk to for information, an open world doesn’t seem that great. It wasn’t too bad either, and it gave a lot of charm and unique identity to the game, so it’s surely not a bad move from the developers, but once again, it feels a bit wobbly (but less than the other parts). I usually don’t care too much about the leveling, but this time I’m going to do a little paragraph about it. The most important part of the leveling is … at the party creation, where you set up all your party members characteristics… when you know almost nothing about the game ! Once in the game, the leveling choices are minimalist, they bring almost no noticeable changes on the game flow (with a few exceptions), and after half of the game the leveling itself is very slow, as it needs an awful lot of XP to level up. The ending was decent. Strangely, the final dungeon looked gigantic from the outside, but inside, there was almost no mob, and it was pretty small, and so it was mostly puzzle based. I’m not sure if it came as a disappointment (I was hoping to finish in a more immersive dungeon like the one from LoG1), or a relief (I already had got more than enough of LoG2 ). There are 2 final boss fights. 1st one is ok (with all the shortcomings of the combat system, as usually), but it’s a fake final encounter… It looks like the end, it leads to the end, it got an ending cinematic, “whoopy we escaped in a flying boat” ; but actually, it’s the bad ending, and you don’t know it. To know that, and to know there’s a good ending, you have to be very very careful and guess some incredible stuff (or just read a walkthrough like me ). And if you didn’t save your game after the fake final boss fight, you’ll have to do it a second time if you entered the following teleporter that by no way had any indication it was leading to the ending cinematic. Wobbly design again. So once you got past all this (I didn’t suffer nearly 40 hours not to see the real final boss ), you finally can see the real final boss in the real final boss fight. Great, hope you enjoy it because once again, if luck is not on your side, you’ll probably never get to see the good ending. I tried a bunch of times, reading & re-reading the walkthrough battle plan. There was just no way I could kill the boss doing what they were explaining. No freaking way. On my last attempt, I got lucky : boss came by himself exactly where it was possible to kill him without a sweat : in a place where it was possible to strafe with the boss not moving. I really wonder if it was by design (ie: understanding how to beat the boss without effort would be like solving a puzzle), or if it was more like a game exploit (game designer didn’t think about that possibility). So the game ended like it lived : on a wobbly design. Hum, if you read all the analysis, you’ll know the conclusion : Legend of Grimrock 2 doesn’t feature a great gameplay, it’s barely a decent gameplay. Objectively, the game might feel great for its targeted audience, though, but I don’t think it can really satisfy players outside of it, it’s just too painful to play it. In short it gives : impressive visuals, awful combat system, painful puzzle system, decent exploration, nearly useless leveling, almost decent ending. Just a quick post to show the importance of having a good lighting system to create a great atmosphere. 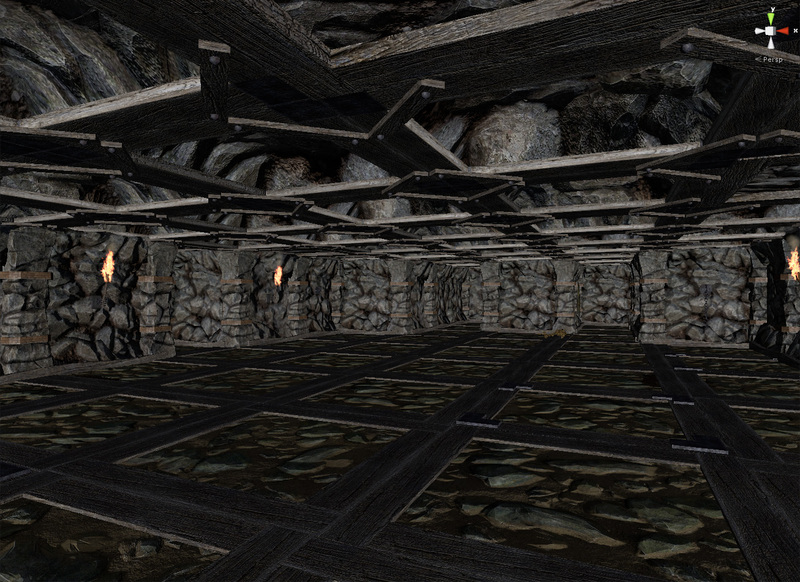 On the left picture, you can see a dungeon room with a basic whitish lighting coming from the side. The result is hideous, everything looks flat and unnatural, even if the textures & models are of great quality. On the right picture, now the lighting is correctly set, with different light sources and their shadowing, and the result is much more impressive. I noticed that difference while I was doing some testing within the Unity editor : there’s an option to turn off the lights and replace them by a default uniform lighting like seen on the left picture. I was shocked by how ugly it was and it reminded me a lot of screenshots from other Indie games. So here my advice to my fellow Indie developers : even if your 3D models & textures aren’t that great, work out on your lighting and you’ll make your game looks a lot more appealing and impressive ! On another topic, the Steam version of my tennis game is almost done and I should get back on Dungeon Guardians in 8 days if not earlier ! I just realized I didn’t tell why I was doing these game analyses ! Mainly, it’s to put down my ideas about other First Person View Dungeon Crawler games, which helps to situate Dungeon Guardians with its similitudes and differences. I think it’s also interesting to see that even with a common base, these games can feel very different depending of what could feel like small game design choices, but actually lead to noticeably different gameplay. This time, we’re checking Might and Magic X Legacy, released just a bit short of 1 year ago. 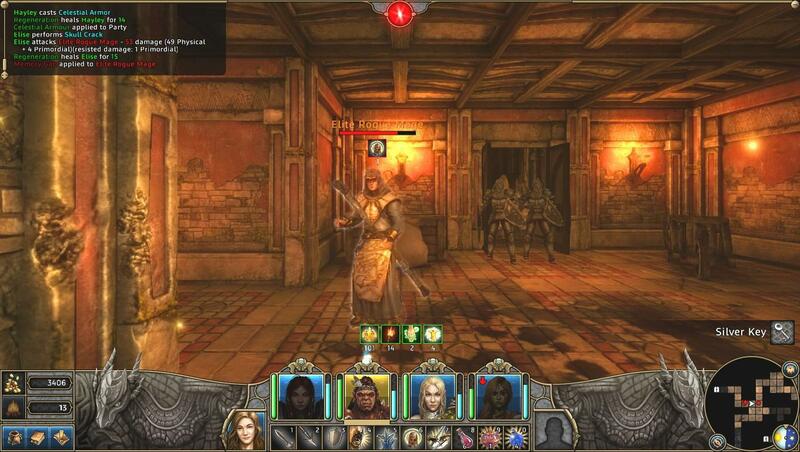 Might and Magic is a cult Dungeon Crawler series, which got its up and down. The down mostly came after the 7th episode (which was already seriously less good than the 6th). Unlike Dungeon Master (DM) and Legend of Grimrock (LoG), it’s not real-time but turn based. The good point is that it lets you play at your own pace. The down point is that it creates less tension than real time fight and it feels less dynamic. Both can also be seen as advantageous when you just want to relax (although even in turn based game you still can feel pressurized from time to time ! ). But there’s also another major difference : M&MX, just like its ancestors, doesn’t feature an unique deep dungeon ; instead, it offers you an open world with numerous small dungeons and a few medium ones. From these 2 characteristics, it means there’s no dungeon offering any memorable nor challenging exploration. 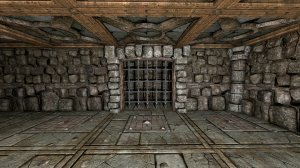 Once in a dungeon, you’ll never feel lost, and except for a very few exceptions, you won’t even feel confused about what to do or where to go, especially as there’s no puzzle (with a couple of exceptions) and the secrets appear depending of your party abilities and not of your own observation skills. And all that without taking account of the automap. On another hand, exploring the outside world is more engaging. And the where-to-go challenge comes up when you have to decide what is the next dungeon you want to go. As there’s no level indicator, it means you can end up in a too hard dungeon. This raises another issue: you can’t play without quick save & load, as it’s impossible to escape a started combat, which is for me a mood killer. But it’s not that bad, because of another bad point : the game is quickly too easy, which means you’ll rarely have to worry about getting in a too hard fight (if you play in the normal difficulty). This brings us to the combat system. So it’s turn based. You need 1 or 1 and half healers (because often 1 healer can be paralyzed/asleep/stoned/etc…), and although there’s tank build, there’s no tanking in the way of World of Warcraft (and Dungeon Guardians ) : there’s no aggro building. You still have a few “attack me during this turn” spells, but most bosses are immune to them, so actually the tank doesn’t need to have much more HP and armor than other party members. The combats themselves, once you have digested & understood the numerous abilities, are actually simple, easy and mostly straightforward. No, in M&MX, the difficulty comes from the resource management. This means that the difficulty comes from the choice of using or not HP & Mana potions during the fights. Almost no fight can be fatal as long as you have enough potions to go through it. This is even more true as it’s a turn based game, so you have all the time in the world to analyse the current situation and choose the most pertinent ability correctly. So to sail through the game, you just have to understand how much potions you can use in each fight. The number of potions is limited ; you can buy some from shops, but it seems they don’t reappear afterward. But you can also buy limitless rations, that allows you to sleep after the fights to recover all your HP & Mana. As 1st, you’re short on gold, but after a while, you’ll get a ton of it. So the difficulty comes from resource management, but you get more or less limitless of them after a while ? So yup, there’s not much difficulty anymore after 25% of the game done. There’s an hard mode, but this one is just too hard to newcomers ; you’re expected to already know the game to pick it (although you aren’t told so in the selection screen), but once you know the game, it is also too easy as you just know how much potions & rations you need to go through the dungeons & world. Plus, still, after a while you just get a ton of money again. The combats aren’t really boring nor too repetitive, though. There are enough abilities, effect variations, kind of mobs, and special events to keep things interesting. It’s just that without time pressure, there’s not much doubt about what to do, nor doing it quickly enough. So that’s a bit a pity as the game itself is pretty nice. Discovering & exploring the world and its dungeons is captivating. The character levelling is nicely done (but not great). There’s a ton to do and see, even though the story holds very little interest, which is a bit annoying in a game with such a big world : it builds very little implication in the player, roaming all around, jumping from dungeon to dungeon without caring much about the goals. Ending is nice enough though, as the background of the story is well exploited. There also are a bunch of riddles in the world, and a few dungeons made of only 1 puzzle to solve and nothing else, plus 1 dungeon made of several puzzles but without any mobs nor real exploration. Puzzles were mostly annoying for me, and I guess riddles are decent if you’re into that kind of thing. Visually, it’s shockingly ugly at 1st ; the 1st city is painfully horrible and technically it feels like we’re back in the early 2000’s. Following cities aren’t much better, but the world and the dungeons are usually well done with a good artistic direction. 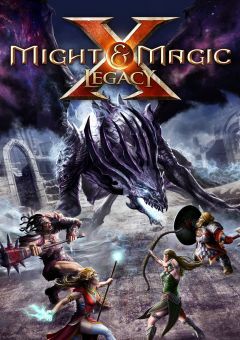 So in short it gives : interesting combat system plagued by its easiness after a while, simplistic dungeon exploration partly compensated by open world exploration, average puzzles, unequal visuals & atmosphere. So all in all, this is a game that is bigger than the sums of its parts and offers a nice adventure, despite all its shortcomings. If you haven’t read the Game Design Analysis of Dungeon Master , you might want to get a look at it before reading this one. Legend of Grimrock (LoG) was released almost 3 years ago and brought the grid-based movement & first person view Dungeon crawling back in the spotlights. Its sequel has been recently released. 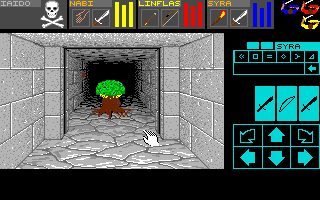 LoG has often been presented as a homage or even a remake of Dungeon Master (DM). Its main gameplay strong point is its puzzles. There are a good bunch of them, very evolved and clever. But as I wrote in my DM analysis, DM wasn’t really puzzle based. 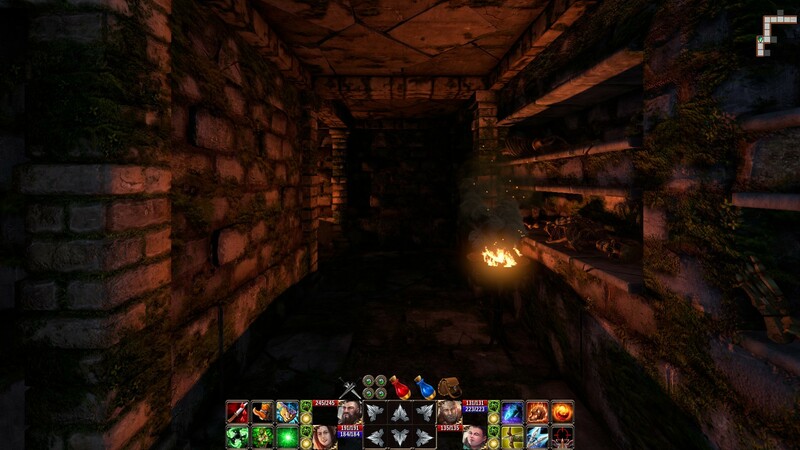 Moreover, the dungeon exploration is a lot more straightforward than DM ; it features a more linear and less mystified progression which requires none or only very little backtracking or roaming (except for 2 or 3 levels) ; the whole progress is made even easier by the auto-map system. And as LoG’s modern 3D engine lets you see more than 3 squares away, you almost never feel lost for the whole game. Another weak point is its combat system. It’s very simple and basically requires you to strafe-turn-strafe-turn non-stop while waiting for your attack cooldowns to reset. Even worse, if you have mages in your party, you have to enter complex rune sequences while you’re strafing & turning. It’s like that for hours till you beat the game. If you don’t strafe & turn around, the monsters will kill you very quickly. Anyway, personally, I think this kind of system is really outdated, and today it’s possible to create more engaging & less repetitive combat systems, either by going in a more arcade direction, or a more tactical one (like Dungeon Guardians ). Another weak point is the story and its background. There’s not much going on there. But in the dungeon crawler genre, it’s not really penalizing. But there’s a last severe weakness : the ending level(s). Without spoiling much, let’s say it felt out of place, rushed, and not satisfying for the gamer (ie: no real sense of achievement). And still, LoG is a good game (great some people might say if they didn’t get bored by the combats). Mostly because except its puzzles, it has another very strong point : a great atmosphere, brought by a finely mastered artistic direction. So globally, we still get a good adventure in an oppressing dungeon. So in short, that gives : awesome puzzles, so-so exploration, boring combats, weak ending, impressive visual & atmosphere. Note : just to make things clear, I’m not here to bash LoG ; I just wanted to analyse its strong & weak points, to see how it’d possible to make an even better game..! 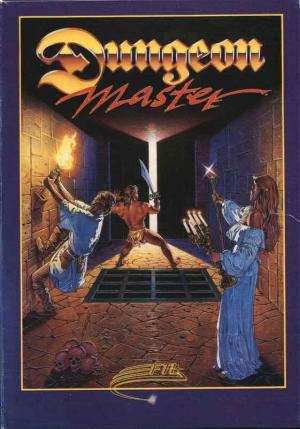 I first played Dungeon Master on my Atari ST when I was a teenager back in 1990. 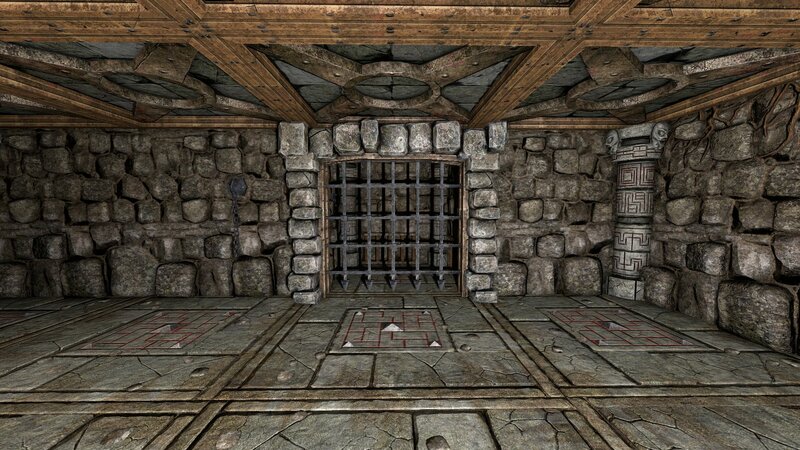 It was the 1st realtime first-person view RPG Dungeon Crawler game ever, so it was a total blast..! Although I played it twice till almost the end, I was never able to finish it. I played it again in early 2009, this time with the punctual help of a walk-through and managed to finish it for the 1st time. And I just replayed it once more a couple months ago, mainly to get inspiration for the puzzles for Dungeon Guardians. And to my big surprise, there’s almost no puzzle, per se, in Dungeon Master ! There’s something like a dozen of puzzles in total, for 13 levels, and almost half of them are more tricks than puzzles, as they are more about understanding a mechanism than solving a enigma. But in addition, there are also a good bunch of plain text riddles, which is a simpler gameplay concept. But there are also a lot of “intriguing” zones, where it can get hard to understand where you have to go, what you’re expected to do, and sometimes requires some backtracking. And in that way, the dungeon itself feels like a puzzle, and managing to explore it feels like solving it. This is what is quite unique about Dungeon Master, even by today standards, even when playing for the 4th time, it pours an aura of mystery. And as I’m not a big fan of puzzles, it’s exactly the kind of atmosphere I’m hoping to recreate in Dungeon Guardians. I’m still designing puzzles, but the complex ones are only to get extra gears & bonus. Except that, Dungeon Master partly got old. Of course, technically, but also for the fights. They require almost no thinking nor skill, so they get boring after a while, especially the long ones. But overall, I think it’s one of the rare games of the 80’s that still offers a gameplay that has not been totally outdated by some better modern games. 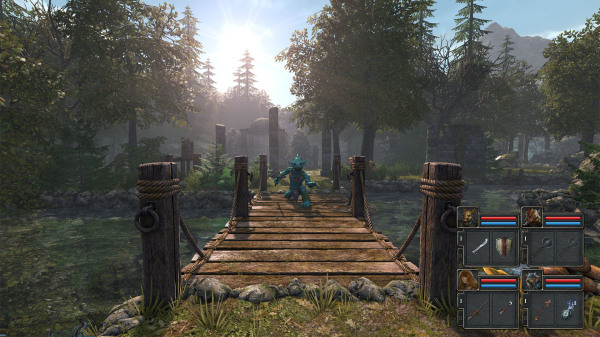 And strangely, this is partly due to technical reasons : a few years after its release, games started to switch to full 3D movement, instead of the grid-based movement, and although it brings new interesting gameplay, it doesn’t completely supersede the old square by square grinding which keeps its own charm. Another technical point is that in DM, we see 3 squares away ; by today standards, it’s a very short distance. But it helps a lot building the oppressive atmosphere, getting us lost. That’s all for this classic. 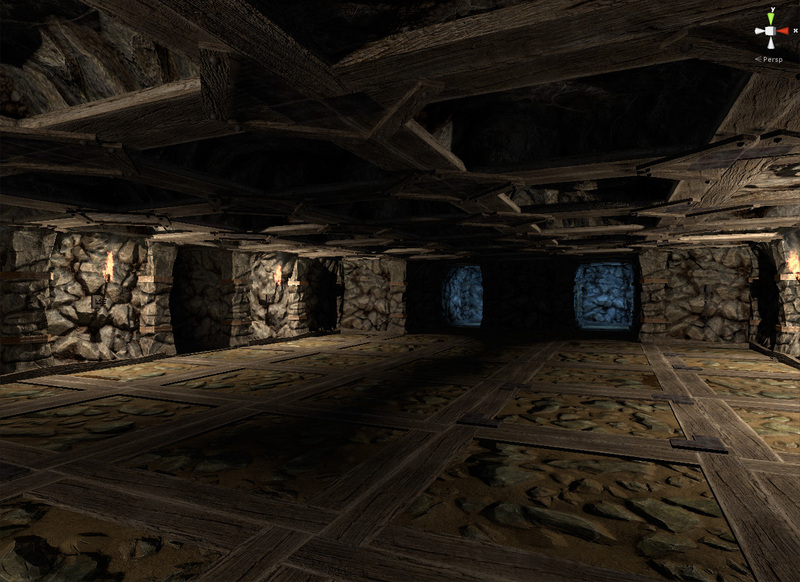 In future posts, we’ll check more recent First-Person-View & Grid-Based RPG Dungeon Crawler games !